Andres Sosa was given a "know-your-rights" card by his attorney just in case he was ever stopped again by immigration agents. Now, the American Civil Liberties Union of Washington says that card asserting his constitutional rights led Border Patrol agents in Spokane to detain him. U.S. Border Patrol agents were waiting outside last July as Sosa got off a Greyhound bus at Spokane's Intermodal Center. He was on his way home to his wife and kids in Underwood, Washington, a town just east of Portland, when two agents stopped him. The city-owned Intermodal Center, where Spokane's Greyhound station is located, has recently become a civil rights and immigration enforcement flashpoint. An uptick in the number of reports of Border Patrol agents questioning and detaining bus passengers has drawn outrage and concern from local politicians, activists and attorneys. The ACLU of Washington and the Northwest Immigrant Rights Project has filed a legal claim on Sosa's behalf, accusing the Border Patrol agents of illegally detaining him based on his race and his assertion of his constitutional rights. A legal claim is a precursor to a lawsuit. "Do you have papers? Where are you from?" one of the agents asked Sosa as he stepped off the bus, according to the claim. Sosa handed the agents a "know-your-rights" card that said he did not wish to answer any questions without an attorney, the claim says. Looking at the card, one of the agents then claimed to know that Sosa was "illegal" and led Sosa to a nearby parking lot to question him further. Sosa says he was the only "Latino-appearing" person on the bus that day and the only person stopped by Border Patrol agents, according to the claim. "Invoking those constitutional rights cannot be a basis for detaining a person," says Eunice Cho, an ACLU staff attorney working on the case. "It appeared there was not probable cause to question him, absent racial profiling." In an email, Border Patrol spokesman Jason Givens says: "As a matter of policy, Customs and Border Protection does not comment on pending litigation. However, lack of comment should not be construed as agreement or stipulation with any of the allegations." Border Patrol policy specifically prohibits racial profiling. As the agents continued to question Sosa, he told them that he's from Mexico and had been released on bond from an immigration court. He also showed them the ankle monitor on his leg. One of the agents "then said that he would deport Mr. Sosa," the legal claim says. "He repeated this statement again several times." Sosa was loaded into a vehicle and driven about an hour away to a facility, the claim says, where he was fingerprinted and put into a cell. After the agents confirmed Sosa had been released on bond from immigration detention, they drove him back to Spokane, where he waited five hours for his wife to pick him up. Sosa has lived in the U.S. for at least a decade, Cho says, but is not a U.S. citizen. He is currently waiting for his removal proceedings to proceed. His claim to legal status is that his wife and children are U.S. citizens. Downtown Spokane, and the Greyhound station, is within 100 miles of the Canadian border, which gives Border Patrol leeway to legally ask people if they're in the country legally. But Cho says in order to detain a person, agents must have probable cause that's not based on race. Cho says the ACLU has seen an uptick in reports of people being targeted and intimidated by immigration enforcement agents. In another case brought by the ACLU and the Northwest Immigrant Rights Project, the city of Spokane paid a Latino man a $49,000 settlement after a police officer detained him following a vehicle accident. Sosa is seeking $75,000 in damages. "I can speculate that under this administration, all agencies under the Department of Homeland Security, including ICE and [Customs and Border Patrol] think they can act with impunity," Cho says. "We're seeing the ramping up of abusive practices against immigrants and the general public." 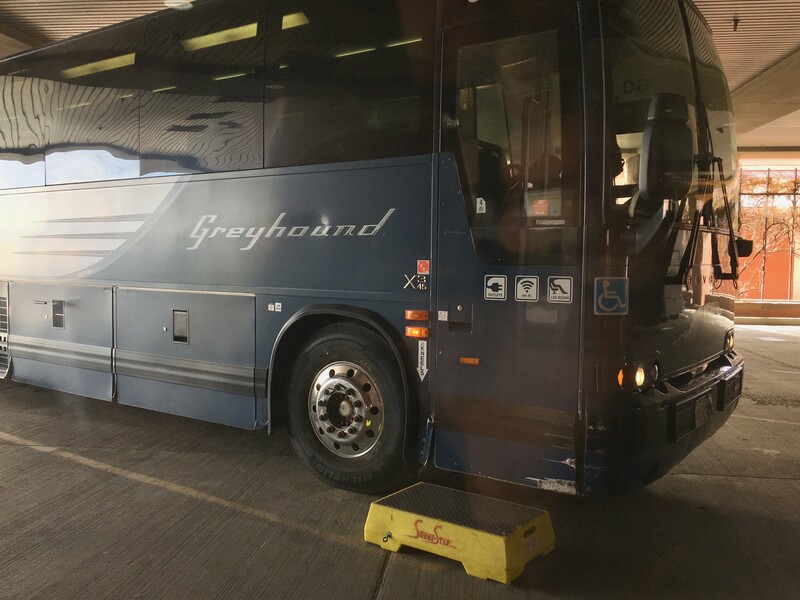 In March, the ACLU sent a letter to Greyhound asking the bus company to stop allowing Border Patrol agents to board its buses and question passengers without warrants. Greyhound responded that they don't have a choice in whether or not to comply with the warrantless searches. 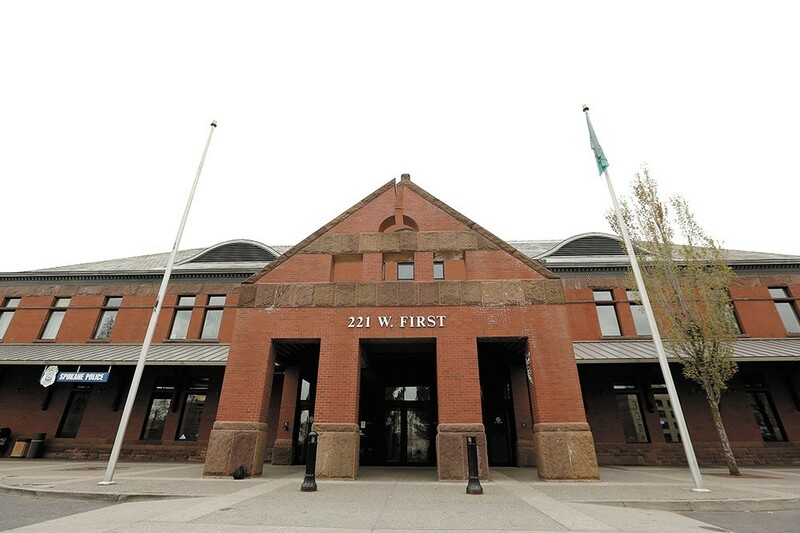 In May, concerns over racial discrimination at the Intermodal Center halted the city's plans to open a social services center in that location. City Council President Ben Stuckart sent a letter to Greyhound just last week suggesting that allowing Border Patrol agents on their buses could violate the city's anti-discrimination laws. Greyhound's lease at the Intermodal Center is up next year. Stuckart says the City Council could theoretically require the bus company to deny Border Patrol access to its buses, absent a warrant, as a condition of a new lease. Stuckart says he's gotten permission from the mayor's office to put up "know-your-rights" posters at the Intermodal Center. On learning that Sosa's know-your-rights card triggered his detention, Stuckart says: "That's even worse isn't it? That just seems vindictive."